I’m deep in the heart of week four of the Whole30 program, and I can see the finish line from here. Since I have cooked nearly 90 meals in my kitchen over the past 30 days, I thought I could share some Whole30 cooking tips that I’ve found for making meal prep go faster. I love to cook, and I will admit that I’ve always been a bit of a kitchen gadget hoarder. My motto is to invest in high-quality gadgets so you don’t have to replace them every other year. I have seriously been using some of these for over fifteen years, and they are still working great for me. For those of you who are looking for ways to make the Whole30 more convenient, these kitchen gadgets have made my life WAY easier. 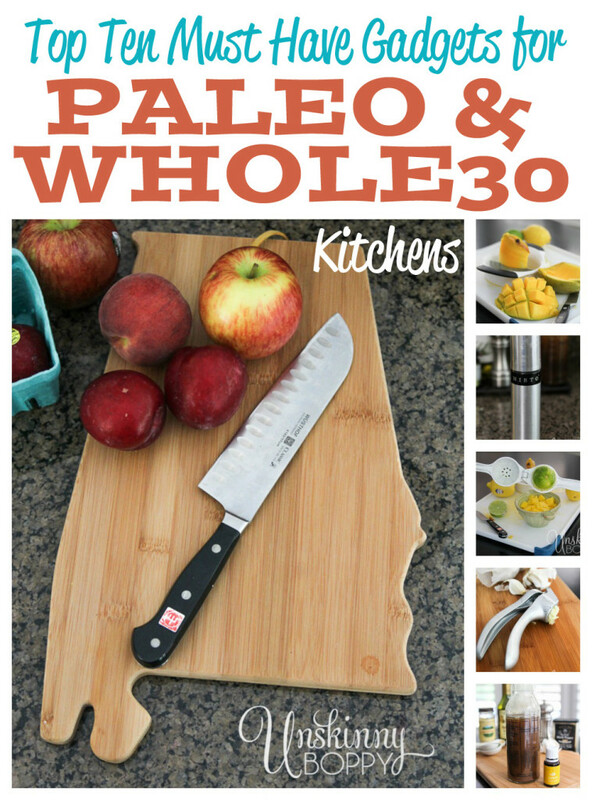 Here are my must-have kitchen gadgets for starting the Whole30 program (or any Paleo kitchen). 1. Kolder Salad Dressing blender bottle. 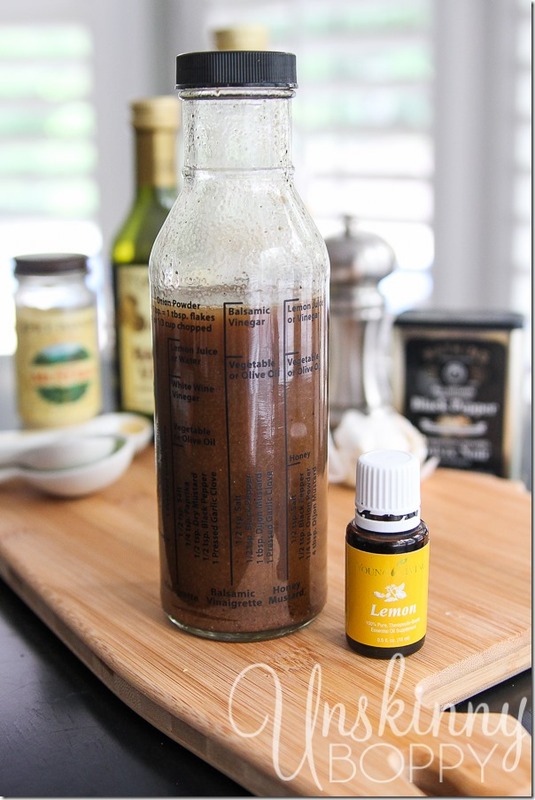 I gave you all the reasons I love this little homemade salad dressing mixer over inside this lemon balsamic vinaigrette recipe post. It has saved my sanity when I’m in need of a quick meal and there is not store-bought substitute in sight…. 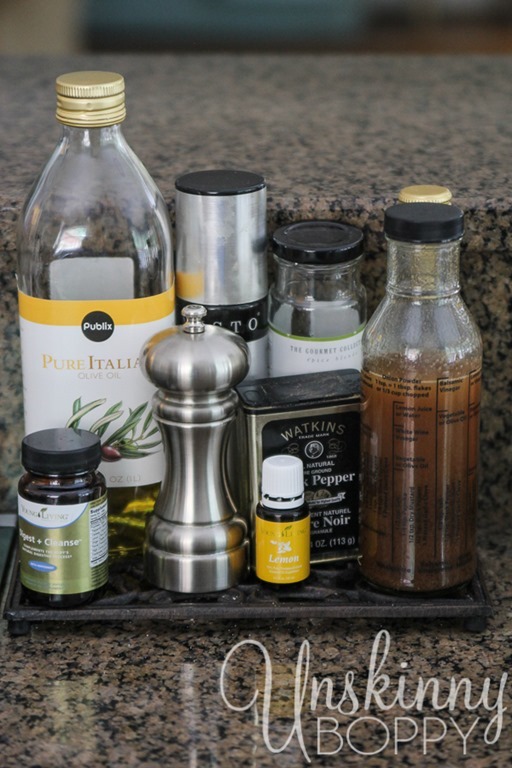 I keep my salad dressing right on my counter beside my stove, so it gets prime countertop real estate. It’s that good. 2. Misto olive oil spritzer. Because reading the ingredients label of a can of Pam will make your eyeball twitch. Nuff said. 3. 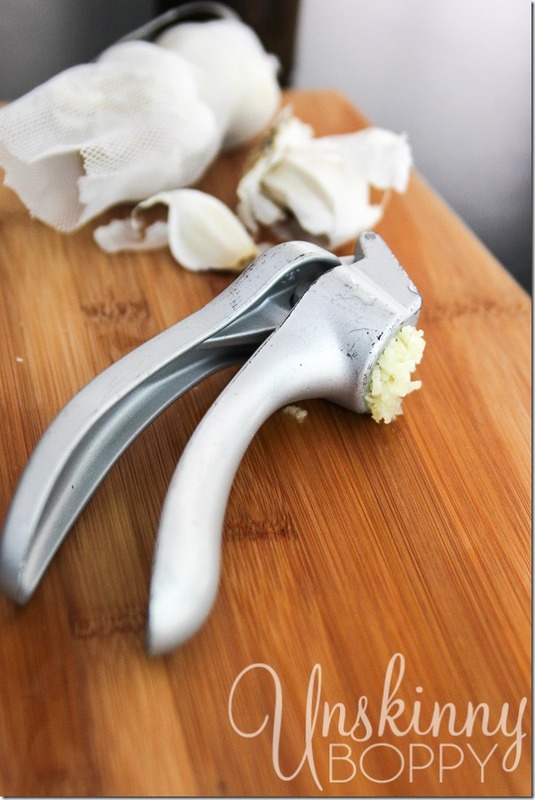 A heavy duty Garlic Press. I like this one from the Pampered Chef. It’s served me well for over 15 years now… You cannot go wrong with anything from Ye Olde Pampered Chef. 4. 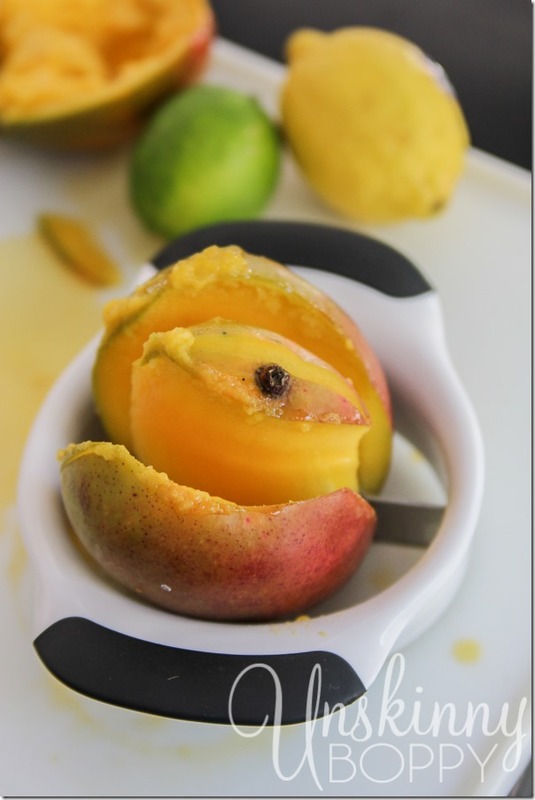 OXO Good Grips Mango Slicer. This is one of those splurges that just makes you feel like a BOSS when it works right. 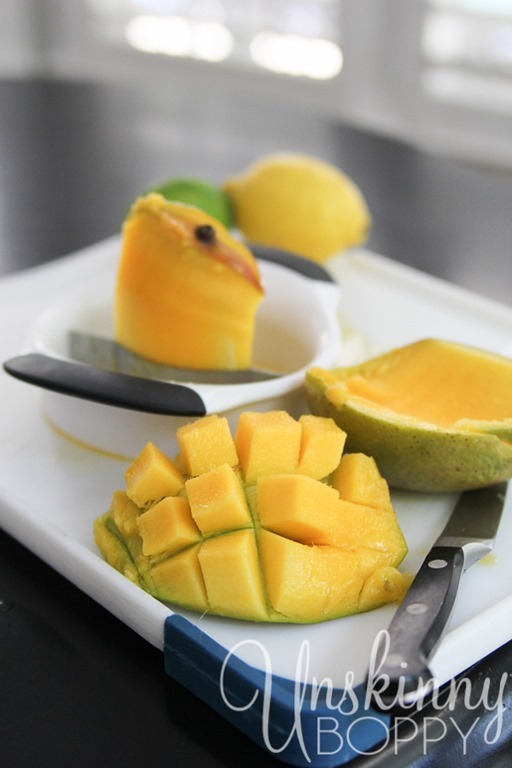 Slicing a mango is about as easy as herding cats, except you risk slicing off a digit in the process. This little tool makes mango slicing fun and easy. See? Voila! I love making little mango cubes by cutting a waffle pattern and turning the skin inside out. Super fast side of mango, coming right up. 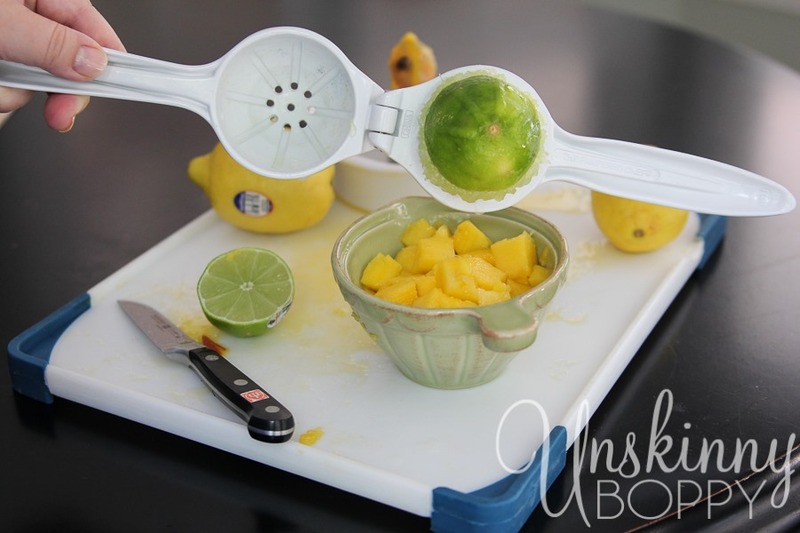 And when you’re done, have fun prying the lime halves off with suction cup force. Barely a drop of juice left! 6. Cutting Boards. 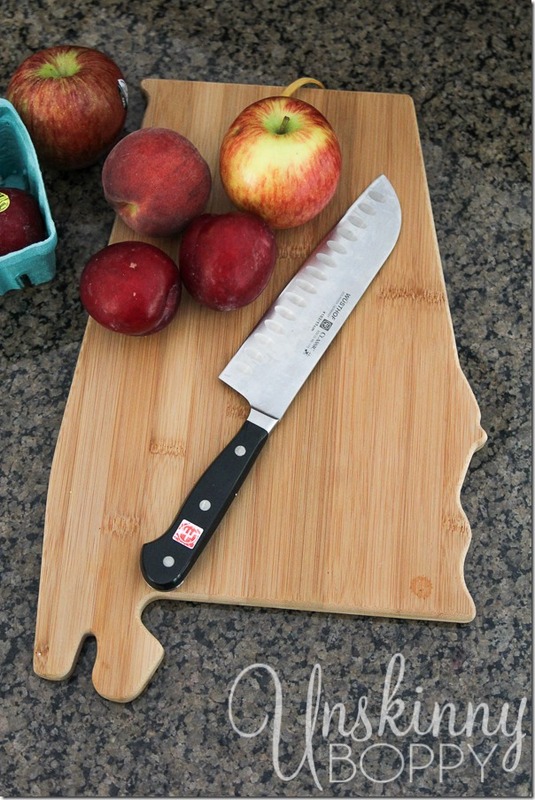 Speaking of cutting things in half… Don’t forget to have a few good cutting boards. I like this one with a juice groove and rubber corners so it doesn’t wiggle around too much. 7. Salad Spinners! I have both a large and small one. Cuz nobody likes soggy lettuce. 8. A set of really sharp, high quality knives to cut up all the fruits and veggies for the Whole30. I LOVE my Wusthof 7” Santoku Knife and for smaller jobs, this Wusthof 3” paring knife. Will other brands work? Sure. But not as well as a Wusthof! These suckers are my Go-To for all things slicey-and dicey. They are top of the line and will last forever with a little sharpening every so often. 9. Well… I do have another favorite slicer and dicer, but it’s a little more complex than a simple knife. My beloved Ninja Kitchen system has been a lifesaver during this Whole30 program. I bag and pre-prep berries, bananas and spinach to make fast smoothies with it nearly every morning. I can turn whole handfuls of sticky medjool dates and almonds into powder with the food processor attachment for homemade lara bars. I love the blender for turning ice into snow and mixing in some cherries, fresh lime juice and club soda for a fizzy drink. My husband got this for me for Christmas last year, and it is absolutely phenomenal. It also claims high price real estate on my countertop because it is such a workhorse in my kitchen. 10. 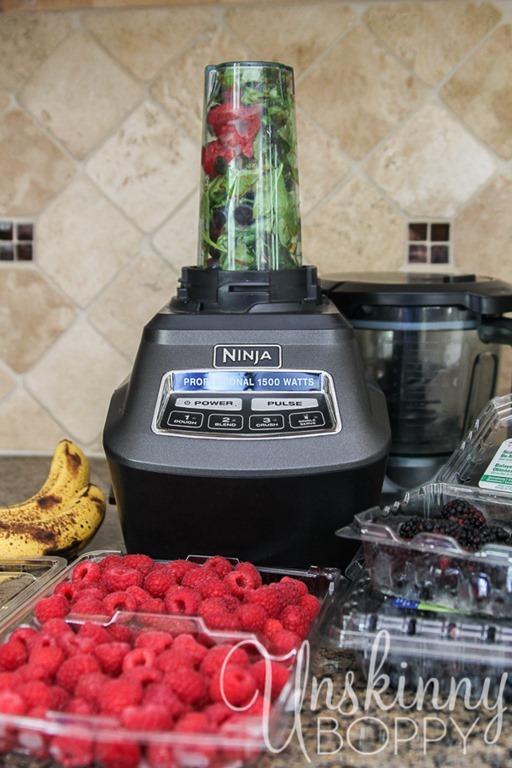 Ninja 3 in 1 Slow Cooker. Ok, ok.. so these last two are not really gadgets, I know. If this were a 4H demonstration they would fall more in the “small appliance” category, but they are still must-haves in my book. Every Sunday I have been making a giant pot of vegetable beef soup that we have been eating for lunches during the week. 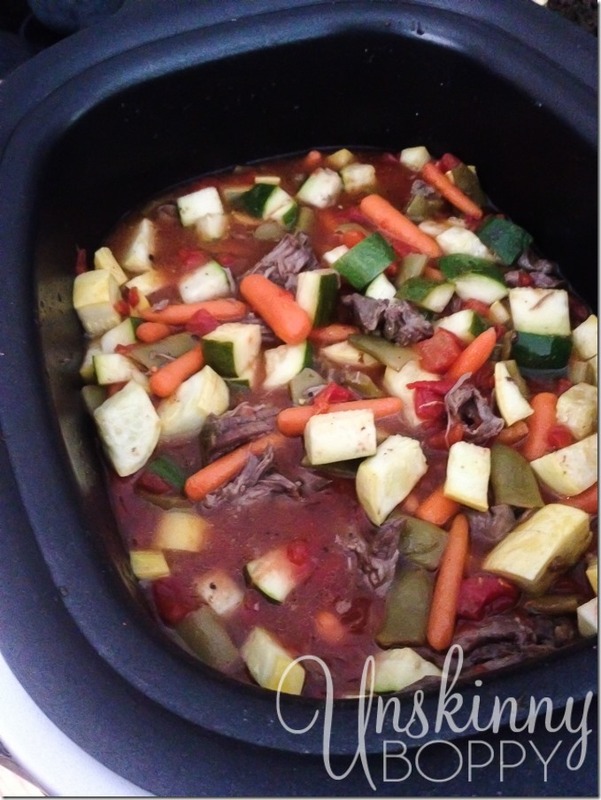 It makes life SO much easier to have hearty food already prepared, and the Ninja slow cooker is excellent for that. First I cook a pot roast that we eat for Sunday dinner, then I use the leftover meat and juice to make soup! It’s also great for roasting whole chickens and all sorts of amazing one-pot dishes. I love both of my Ninjas! The Slow cooker is great because it has a stovetop setting where you can saute onions and garlic first, then add all the rest of the ingredients and let it simmer for a few hours, just like a stovetop except much safer. Love this thing! Ok, there you go! Do you have to own all of these things to have a successful Whole30? Of course not. Will they help you get your meal prep done faster? Probably. If you’re one of those anti-kitchen gadget people, then I understand if this post is not for you. If you drool over the Pampered Chef catalog and could spend hours rummaging through the Williams-Sonoma outlet, then this one is for you. 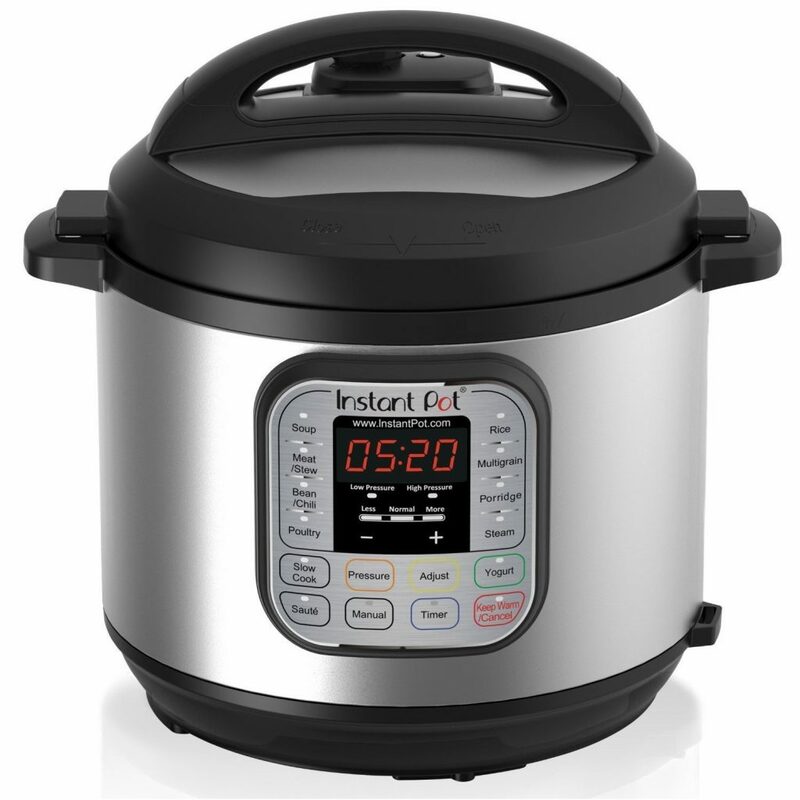 2017 Update: The Instant Pot: Here’s a bonus gadget that I’ve recently fallen in love with– the Instant Pot has taken the world by storm even though everyone is kinda scared to death to use it. I have to admit I’m slowly learning to love mine but everyone raves about cooking whole frozen chickens and sides of beef in these suckers, so they are definitely useful for a Whole30 diet. What gadgets would you add to the list of must-haves for the Whole30? I can already think of a few more, but I’ll stop at ten since it’s such a nice round number. You can read all about my Whole 30 challenge posts by clicking here. Disclaimer: This is not a sponsored post. I wasn’t paid to promote any of these products. I did it because I genuinely love them and think you will, too. Post contains affiliate links so I can get paid, yo. Apparently we are kitchen sisters separated by birth some 20 years or so apart. 8 of the 10 live with me, right down to several identicals, soon to be 9 because I didn’t know there was such a thing as a mango slicer. I have 3 mango’s on the counter now and as good as they taste it’s not unheard of for them to expire before being eaten simply because they are a p.i.a. to get at. I never buy mangoes because I can’t figure out how to cut them – problem solved! And I am with you on Pampered Chef – I LOVE all of the widgets and gadgets I have bought from them throughout the years! Great post, Beth! Love this! Is the whole 30 stew recipe coming soon? I’m a bit of a dunce when it comes to guesstimating. Ha! Can I ask how you are overall feeling and if you are losing any weight or noticing anything like allergies clearing up, etc? 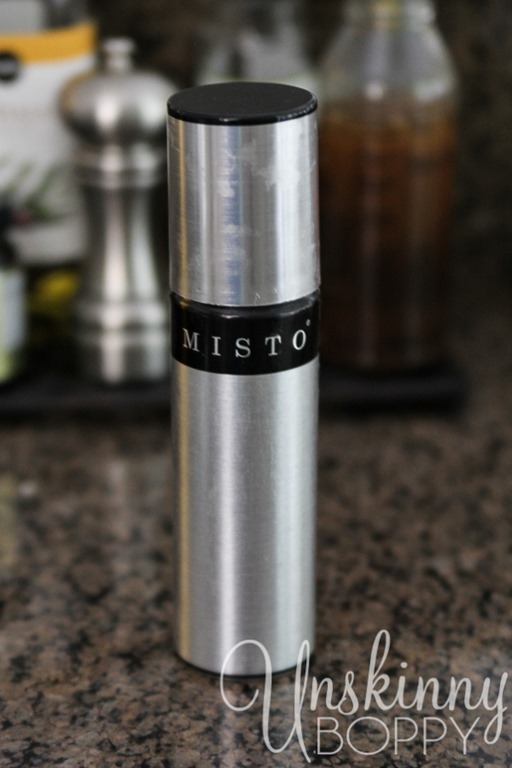 what do you put in your MISTO? I got one, but don’t want to do vegetable oil…I’d love to hear! Great suggestions, Beth! I’m wishing I would have gotten the Ninja Pro now. 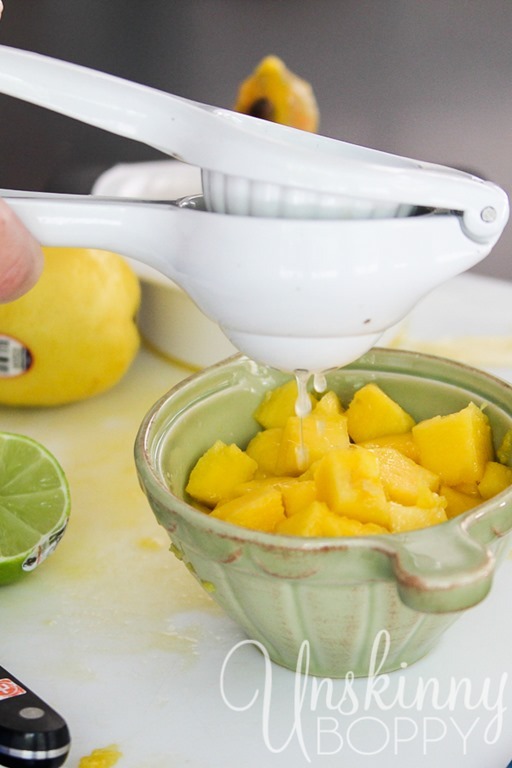 I think you might be using your citrus squeezer backwards… when you put a lemon or lime half in, put the CUT SIDE face down into the bowl of the squeezer, contrary to the way it seems like it should go. Then when you squeeze it, it turns the peel inside-out and gets every last drop of juice out. Bonus- no suction cup force required to pop that puppy out! 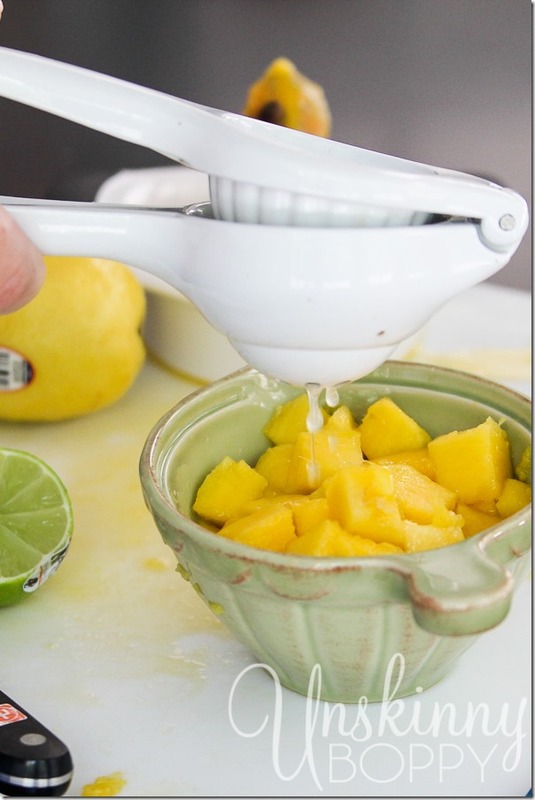 Other than that, your suggestions are right on- especially the Mango Pitter- I love that thing! I never ate Mangos before getting it because they were just such a nuisance.